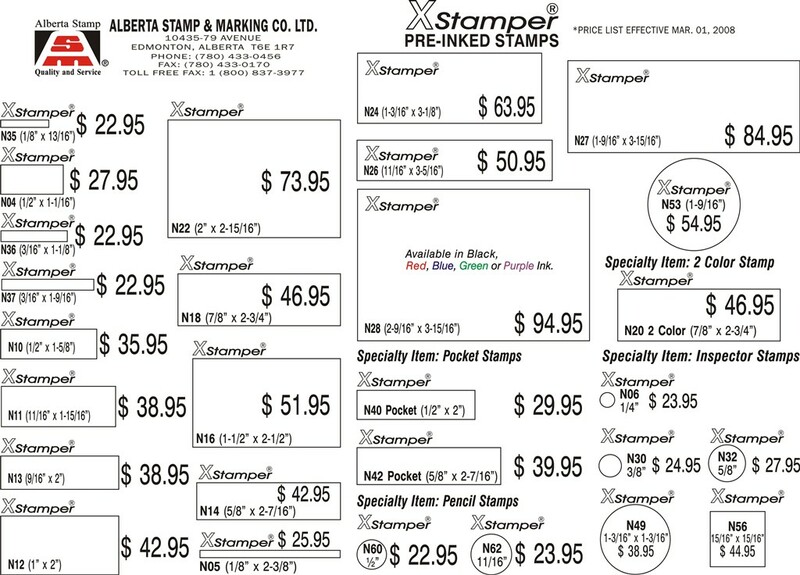 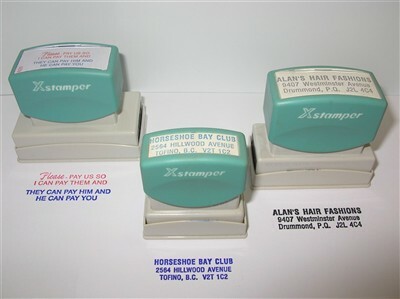 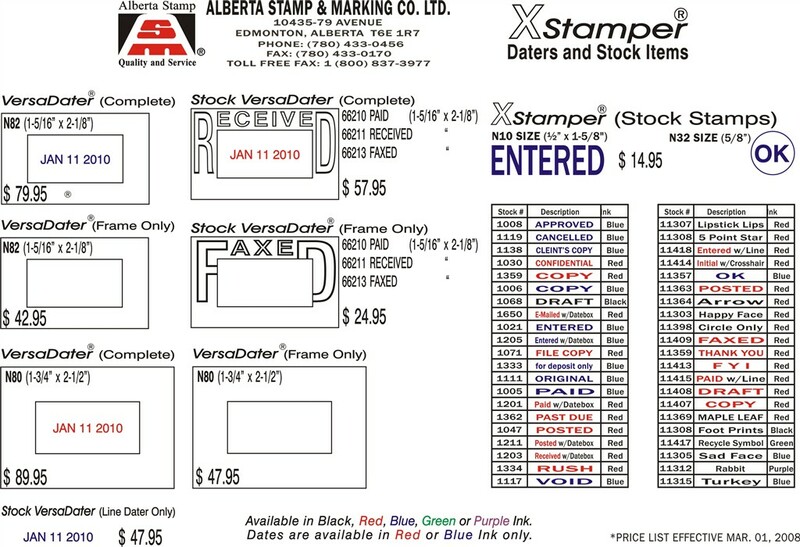 X-Stamps are the best Pre-inked stamp on the market today. 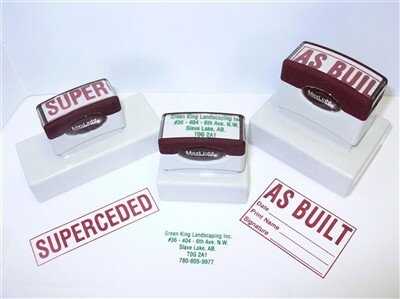 We are proud to be a distributor of their quality products. 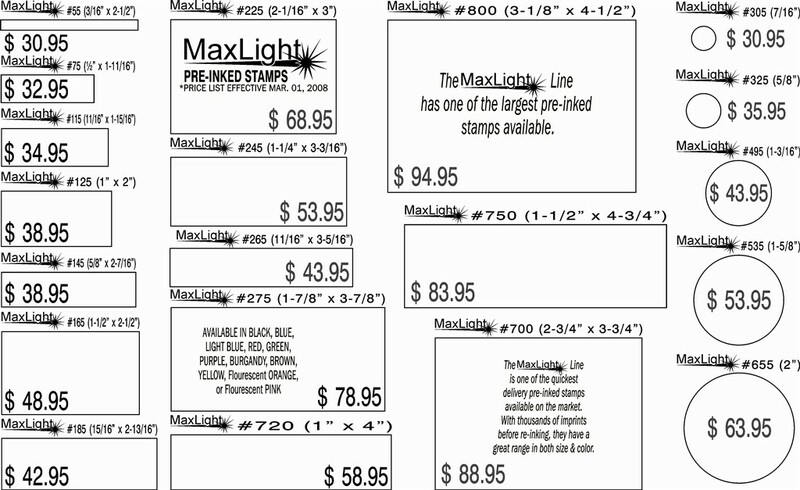 MaxLight Pre-Inked Stamps are the answer when you need your stamp quick! 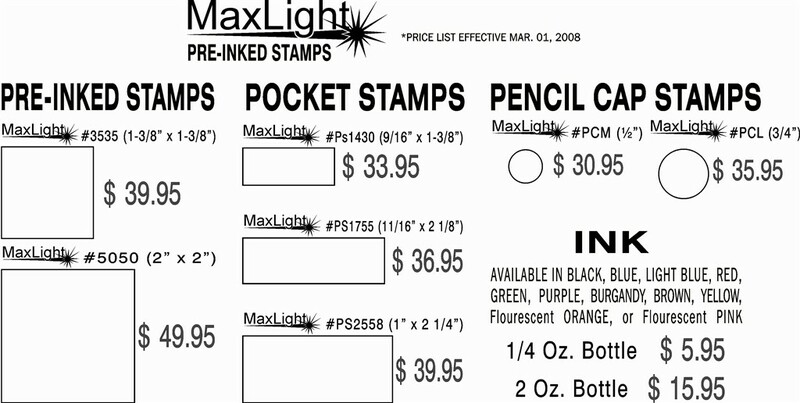 Produced in house, we have a large selection of both size and ink color.